This study is presented by the Men’s NetWork, a program of Lutheran Hour Ministries. 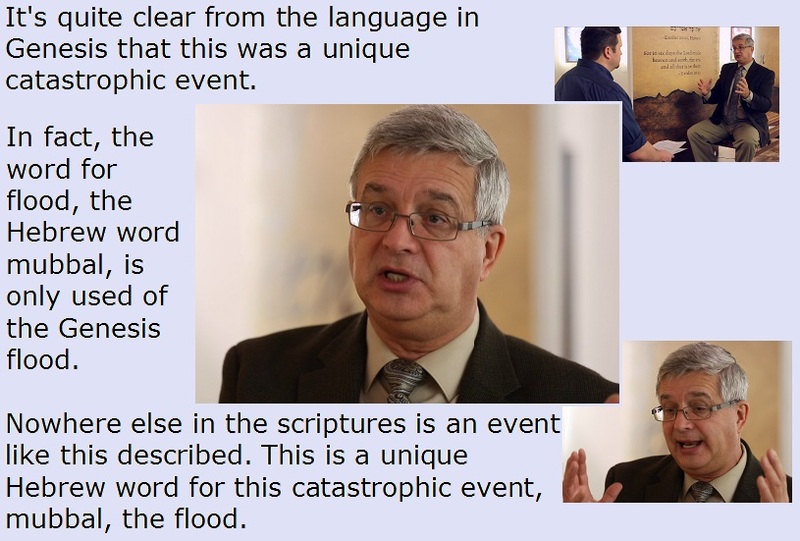 The Genesis account of a cataclysmic flood in chapters six through nine is one of the Old Testament's more timeless sagas. It chronicles Noah and his devout righteousness, contrasting his blameless fidelity to God with the wanton corruption and violence God saw at work in the world around Noah. Along w﻿ith his immediate family, Noah is singled out for God's blessing-and salvation-from the waters of a flood let loose to wipe out every living thing-except the people and creatures aboard the ark. The story is an extraordinary one to be sure and ends with God blessing Noah and his family for their obedient faithfulness, making a covenant with them to never again destroy the earth by a flood. Are you ready to learn a little ancient Chinese? These screen shots are from the first video clip: Session 1: Noah the Man. 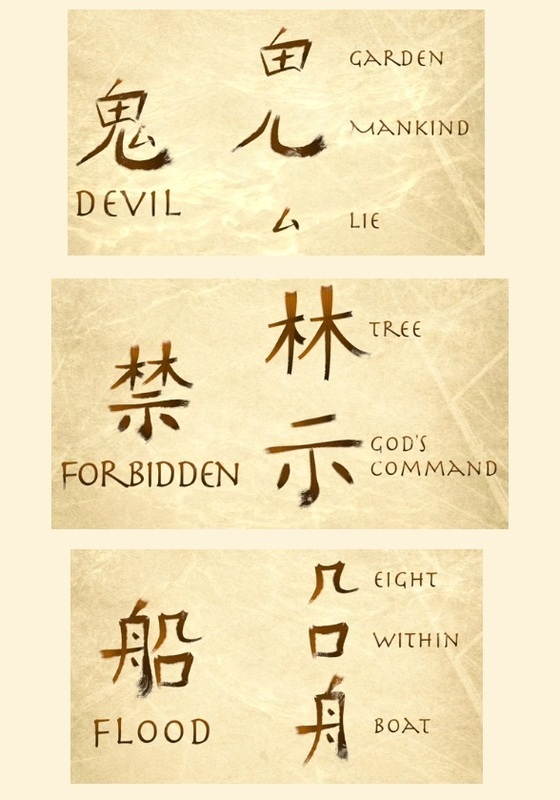 These compound words (such as devil) come from ancient Chinese pictographs and shows their knowledge of God and the accounts from Genesis. God shows Himself everywhere, we only need eyes to see!